The Spindleback Dining Chair is a French country adaptation of a classic spindle back Windsor chair. 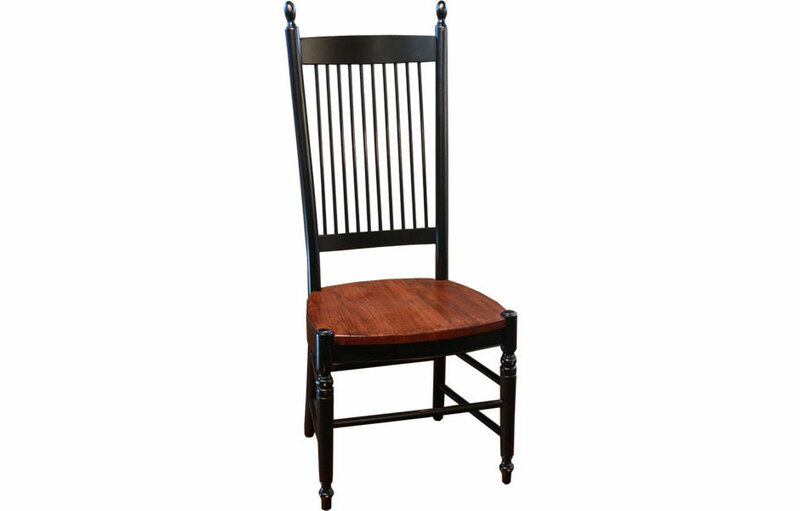 A comfortable, solid wood chair features a slat back, ball finials, ball turnings on arms and legs, and a roomy 20" wide seat. Available in Side or Arm styles with molded wood seat. 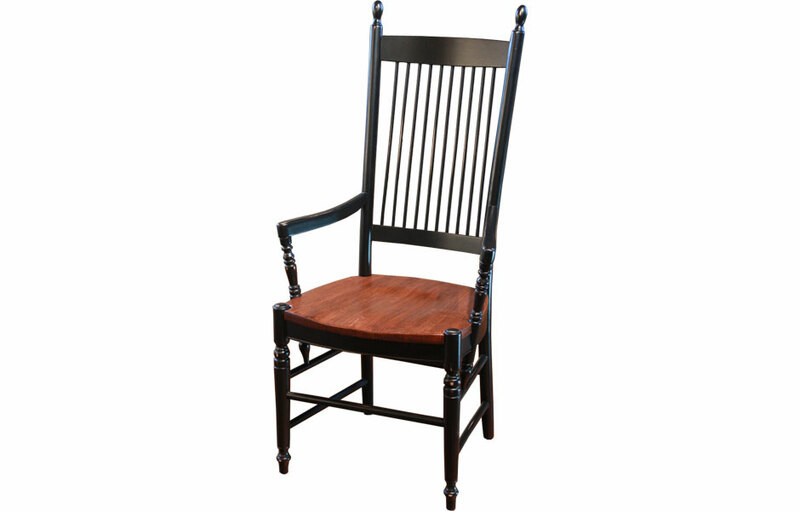 The Spindleback Dining Chair is a French country adaptation of a classic spindle back Windsor chair. 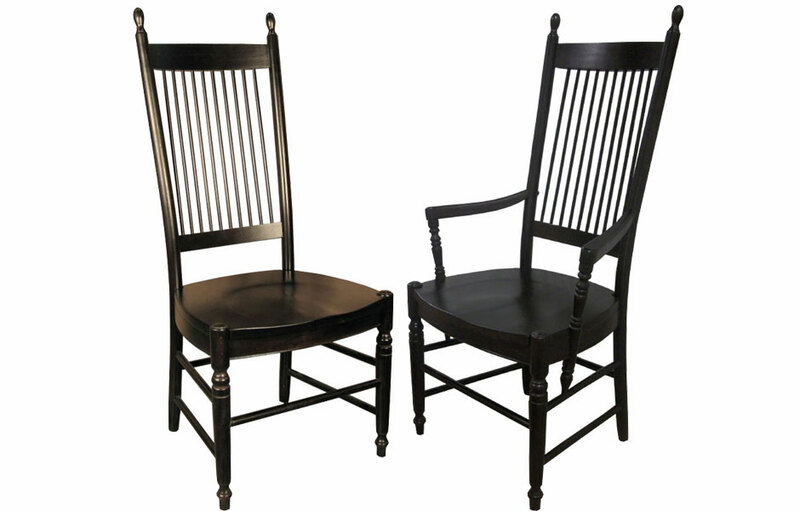 Spindleback chairs were commonly found in country cottages, farmhouses and chateaus throughout Europe. The spindleback dining chair was designed for modern elegance, strength and for everyday use. The dining chair has ten rounded spindles which meet two horizontal rails on the back of this French dining chair. The stiles are enhanced by the turned ball finials adding prominance to the high-back chair. The ball turnings on the legs add to the sleek design. The 20" wide, molded seat is comfortable for sitting during leisurely meals and can be used without a cushion. 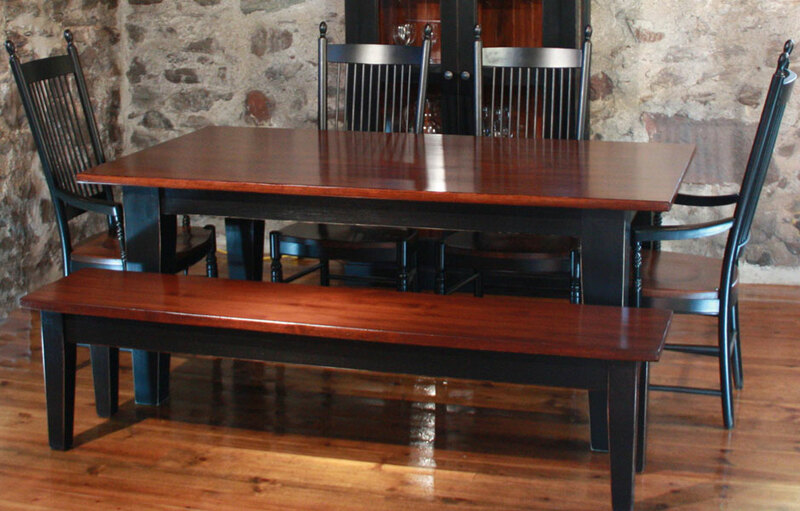 The Spindleback's sleek, upright design complements farm tables with tapered legs and works well with the 60" square farm table. However, the high-back, modern feel of the chair enhances many dining table styles. The Spindleback Dining Chair is made of solid hardwood for its inherent strength and durability. The paint or stain finish options include a two-tone combination of paint and stain, entirely stained, or entirely painted. 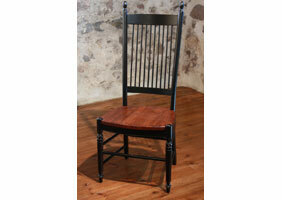 Spindleback Chair shown in a side style, with Wood seat, and finished with Black milk paint. 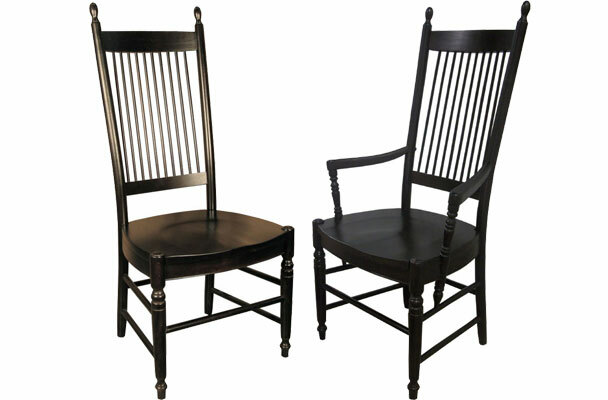 Spindleback Chair shown in an arm style, with Wood seat, and finished with Black milk paint.